On April15, 2019, Golden Entertainment, Inc. (the Company) issued a Press Release, announcing the closing of its private offering of $375million in aggregate principal amount of 7.625% senior unsecured notes due 2026 (the Notes), which is attached hereto as Exhibit 99.1, and incorporated into this Item 8.01 by reference. This Current Report on Form 8-K does not constitute an offer to sell or the solicitation of an offer to buy the Notes or any other security and shall not constitute an offer, solicitation or sale of the Notes or any other security in any jurisdiction in which such offering, solicitation or sale would be unlawful. 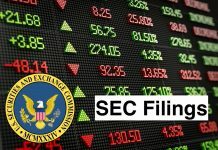 The Notes being offered in the offering will not be and have not been registered under the Securities Act of 1933, as amended (the Securities Act), and may not be offered or sold in the United States absent registration or an applicable exemption from the registration requirements of the Securities Act. This Current Report on Form 8-K and Exhibit 99.1 hereto contain forward-looking statements, including statements regarding the proposed offering. Forward-looking statements can generally be identified by the use of words such as anticipate, believe, continue, could, estimate, expect, forecast, intend, may, plan, project, potential, seek, should, think, will, would and similar expressions, or they may use future dates. Forward-looking statements in this document include, without limitation, statements regarding the Companys expectations as to the completion, timing and size of the proposed private offering, the anticipated use of proceeds therefrom. These forward-looking statements are subject to assumptions, risks and uncertainties that may change at any time, and readers are therefore cautioned that actual results could differ materially from those expressed in any forward-looking statements. Factors that could cause actual results to differ include, among other things: risks and uncertainties associated with market conditions and the satisfaction of customary closing conditions related to the proposed offering; and other risks and uncertainties discussed in the Companys filings with the SEC, including the Risk Factors sections of the Companys Annual Report on Form 10-K for the year ended December31, 2018. The Company undertakes no obligation to update any forward-looking statements as a result of new information, future developments or otherwise, except as expressly required by law. All forward-looking statements in this document are qualified in their entirety by this cautionary statement. Press Release, dated April15, 2019, issued by Golden Entertainment, Inc.
Golden Entertainment, Inc., formerly Lakes Entertainment, Inc. is a gaming company. The Company focuses on distributed gaming, including tavern gaming, and casino and resort operations. The Company’s segments include Distributed Gaming, Casinos, and Corporate and Other. The Distributed Gaming segment involves the installation, maintenance and operation of gaming devices in certain non-casino locations, such as grocery stores, convenience stores, restaurants, bars, taverns, saloons and liquor stores, and the operation of traditional, branded taverns targeting local patrons, primarily in the greater Las Vegas, Nevada metropolitan area. The Casinos segment includes the operations of Rocky Gap Casino Resort (Rocky Gap) in Flintstone, Maryland, and approximately three casinos in Pahrump, Nevada, including Pahrump Nugget Hotel Casino (Pahrump Nugget), Gold Town Casino, and Lakeside Casino & RV Park. Its tavern brands include PT’s Pub, PT’s Gold, PT’s Place, Sierra Gold and Sean Patrick’s.